Completing a minimalist design in your kitchen is easy with this unobtrusive yet powerful 77cm ASKO Undermount Rangehood. It sits directly underneath cabinetry for a flawless finish, with a flat extraction surface concealing the grease filters for a more streamlined look. The 820m3/h extraction capacity rapidly removes smoke and odours while you stir-fry, deep-fry and boil for tonight's entertaining. The ASKO CC4727S four speed settings keeps the air fresh no matter what you're preparing, and at a low noise level of just 60dB at the second setting you will barely even notice the rangehood is working as you chat to your guests. 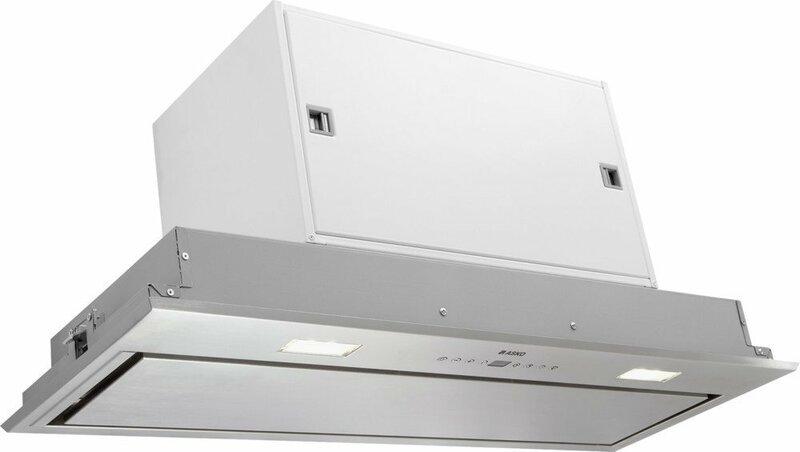 The Asko CC4727S Kitchen Hood was added to the Kitchen Hoods category in October 2016. The lowest price GetPrice has found for the Asko CC4727S Kitchen Hood in Australia is $1,299.00 from Appliances Online.